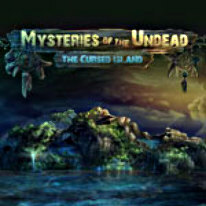 Solve the mystery of the zombie island and break the ancient curse! Solve the mystery of the zombie island and break the ancient curse! What is the source of this disaster - was it virus or magic? Many years ago a mysterious evil was unleashed on the citizens of a small island, rendering them all bloodthirsty zombies on the hunt for human flesh. Now all hope lies with a small research team from the floating laboratory, Perseus, to eliminate this threat and stop a global pandemic before it can begin! -40 unique locations to experience! -Perilous and challenging adventures await!